This advice is taken from Inform Children’s Guide to making the placement (including matching, pre-placement meetings, placement agreements and delegating authority to foster carers), written by Alan Fisher. The guide is part of Inform Children’s Fostering Knowledge and Practice Hub. The child or young person should participate fully in decision-taking. Participation is an active, ongoing process. It’s more than merely consulting; it’s about ensuring the child or young person has all the information they need in a form they can understand. It’s about providing different ways of enabling the child or young person to contribute and say what they want to say, for instance through child and young person friendly material and online feedback forms. It’s about preparing them for meetings, eg having them in a place where the child or young person feels comfortable, preparation that enables them to talk to someone they trust about what they want to say, and about explaining things in the meeting itself so they can take part. It’s also about professionals understanding the child’s wishes and feelings and placing them at the heart of the process. There are no shortcuts – spending time in this early phase will undoubtedly save time later. It is detailed and complex so take that on board rather than deny it. The law requires it. 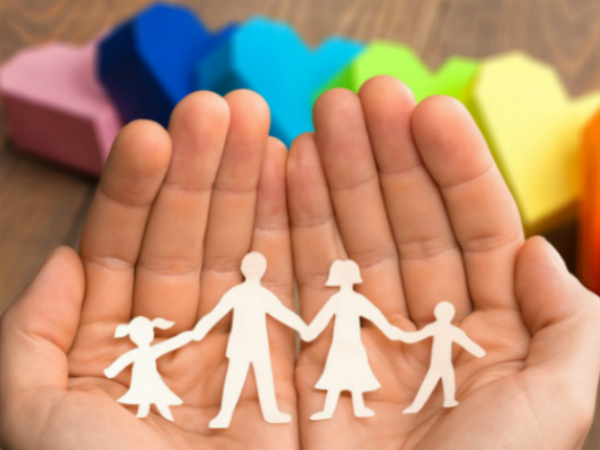 Safeguarding, education, health, leisure, planning for the future – all are detailed in themselves and the foster carer, the child’s social worker and supervising social worker all have defined responsibilities that overlap. Plus, there is the involvement of other professionals who are part of the team around the child, eg teachers, health professionals, therapists. Experience suggests that the source of placement problems and/or friction within the team around the child can often be traced back to rushed or incomplete preparation and planning. Information sharing is a prerequisite of good fostering practice. One common complaint from foster carers is that they are not given all the available information they need to enable them to care for the child. If information on a particular area is not available, this should be noted by the supervising social worker and a means by which this information can be obtained should be established. Often this is nobody’s fault, eg when an emergency placement is made where the family is hitherto unknown. Some carers are better than others at dealing with this, which should form another element of the matching decision. The best way to clarify the child’s needs, and ensure the placement plan meets them, is to hold a meeting with all parties involved. The foster carer, supervising social worker, the child’s social worker and, potentially, the birth family should be included, and the child or young person should be enabled to participate as fully as possible given their age and understanding. This can be done by ascertaining their wishes and feelings beforehand, supporting them through the meeting, and ensuring they have a copy of the conclusions and know how to talk to someone if they are not happy. Foster carers should be enabled and supported to take everyday decisions about the fostered child as would any responsible parent. Decisions about delegation of authority should be based on good quality assessments of need and risk for the individual child and foster carer, and foster carers should be trained and supported to undertake appropriate risk assessments in areas in which they are authorised to make decisions. Expectations around decision-taking need to be clear to everyone involved. Also, the process of creating and maintaining the delegated authority agreement can be as valuable as the actual decisions themselves. Everyone should be actively working together. These points are excellent at highlighting the importance of Involving the young person but also about gaining more autonomy on decision making. This should help add a more secure bound to relations between the child and foster parent.